Get back into your car again to be on your way. And we all know how fun it is to do these tedious tasks when it’s raining, don’t we? At Austin’s Greater Garage Doors, we do more than automate the opening and shutting of traditional garage doors. 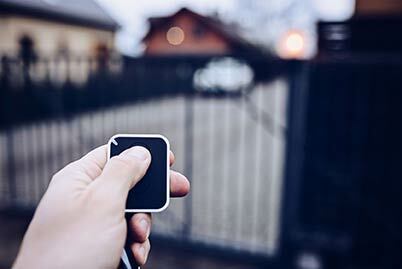 We actually install and repair electric gate openers for a variety of gate types, too. Not anyone can do this job. Due to emergency egress and ingress regulations, you must be certified to install gate openers. Servicing Austin, and surrounding areas, our team is trained and certified to install gate openers properly, safely, and legally. If you have questions about automating a security gate on your residential or commercial property, or repairing an automatic gate that has broken, we want to help! Contact us today at (512) 806-9520 and we’ll be happy to help answer any of your questions or schedule a free estimate.